College and university presidents send important signals about the missions and priorities of their institutions. This series gives voice to the different ways in which higher education presidents define internationalization, align it with institutional mission and student learning outcomes, and understand both opportunities for internationalization and possible threats to it. AIEA welcomes additional submissions to the series, particularly those that will encourage the diversity of the series in terms of institutional type and geographic region. 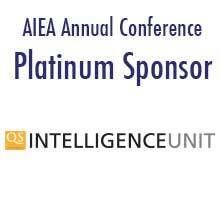 Submissions are reviewed by members of AIEA's Editorial Committee. A template for submissions can be found here. Please send submissions to Teresa Wise, chair of the AIEA Editorial Committee ([email protected]).